The Seldom Scene Photo by Michael Oberman. 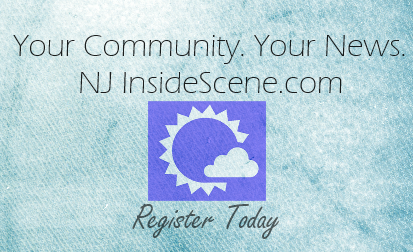 Newton, NJ – The Seldom Scene will perform at The Newton Theatre on Thursday, November 5th at 8:00 pm. Tickets will go on sale to the general public on Friday, July 24th at 11:00 am. What does it take for a bluegrass band to remain popular for more than four decades? For The Seldom Scene, it’s taken not only talented musicians, a signature sound, and a solid repertoire, but also a sheer sense of fun. On April 22, the longtime pillars of the bluegrass world returned with the aptly titled Long Time… Seldom Scene, via Smithsonian Folkways. The newly recorded collection features fresh interpretations of 16 oft-requested tunes and is the band’s first studio album since the GRAMMY-nominated album Scenechronized in 2007. It’s a family reunion in all the best ways, featuring their current — and longest-running — lineup, joined by founding members Tom Gray and John Starling and guests Chris Eldridge, Emmylou Harris, and Rickie Simpkins. Long Time is The Seldom Scene’s first-ever release with Smithsonian Folkways, and captures the identity and playfulness that have endeared the group to audiences around the world for so long. Hickory Wind is a homesick ballad that features the vocals of longtime friend of the Scene, Emmylou Harris, who originally recorded the song on her ‘Blue Kentucky Girl’ album in 1980. Fan-favorite Wait a Minute is a fresh take of a song originally recorded for 1974’s Old Train album and includes founding member John Starling (vocals) and guests Rickie Simpkins (fiddle) and Chris Eldridge (guitar), son of founding member Ben Eldridge (banjo). 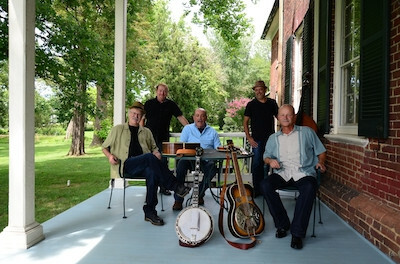 The Seldom Scene are founding member Ben Eldridge (banjo), Lou Reid (mandolin/vocals), Dudley Connell (guitar/vocals), Ronnie Simpkins (bass/vocals), and Fred Travers (dobro/vocals). The album was produced by three-time GRAMMY award-winning Smithsonian Folkways Sound Production Supervisor Pete Reiniger. Tickets for The Seldom Scene range from $24.00 to $34.00. Purchase tickets by visiting www.thenewtontheatre.com or contact the Box Office at 973-383-3700. The historic Newton Theatre, located at 234 Spring Street in Newton, NJ, was founded in 1924. Revitalized and fully renovated, Sussex County’s premier entertainment venue reopened in 2011 as a 605 seat capacity live performing arts center. With it’s rich history and diverse programming The Newton Theatre is essential to the buoyancy of New Jersey’s Skylands region. More information about The Newton Theatre may be found by calling 973-383-3700 or by visiting its website atwww.TheNewtonTheatre.com.